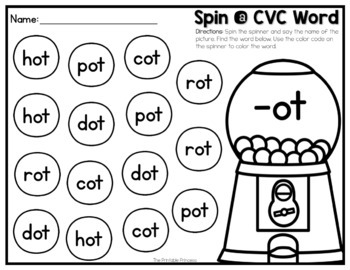 This CVC resource is easy to prep and engaging for students. 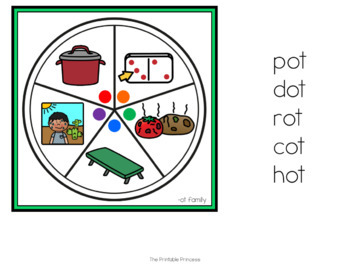 The activities are perfect for literacy centers. 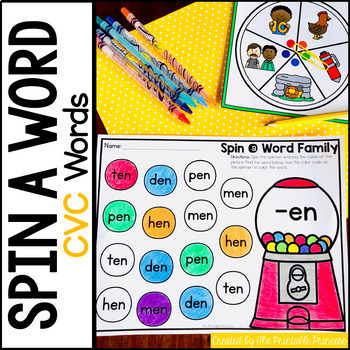 Your students will read, recognize, and distinguish CVC words and word families. There is enough word families in this packet to make 22 different centers. Just print, cut, and laminate the spinner and print the corresponding recording sheet. Students will need a paper clip and a pencil to make a spinner. Students will spin the paper clip spinner and say the name of the picture. They will find the word on their recording sheet/activity page. 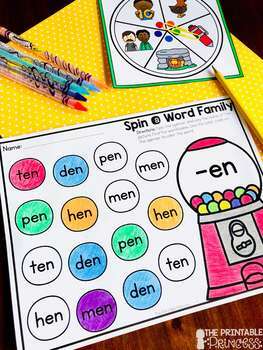 Using the color code on the spinner, they will color a gumball with the word. They will continue to spin and color until all of the gumballs have been colored.